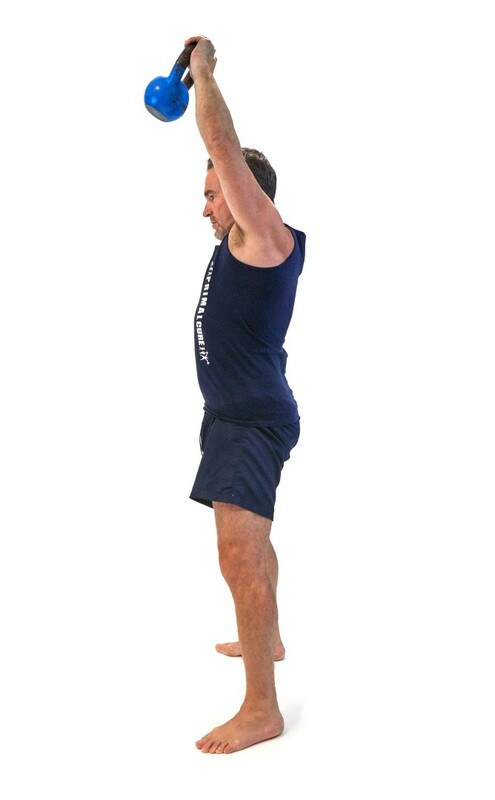 Place your feet at shoulder width and bend over, arching your back and grabbing the weight between your legs. Your palm should be facing backwards, now stand up slightly until your legs are at 90 degrees. Now stand up by pushing into your feet and very forcefully pushing your hips forward. The aim to create enough thrust that the dumbbell flies into the air with zero involvement from your straight arms up to head height. If your arms don’t reach a point where they are straight out in front of you either the weights too heavy or you haven't thrust your hips purposefully enough. If you hold at the top for a moment you will work your shoulders too, but be sure to squeeze those glutes hard. Then lower back to the squatting period and being the thrusting move all over again.